Ed Ayala is the Chief Development Officer of Strategies for Wealth, one of the region’s premier financial services firms, with New York offices in Manhattan, Rye Brook, and Jericho, and New England offices in Providence, Rhode Island and Framingham, Massachusetts. Ed is a Field Representative of The Guardian Life Insurance Company of America and has devoted his professional life to helping others achieve the highest possible levels of financial success and security. He derives great personal satisfaction from his ability to positively impact the lives of those he works with and their families by helping them protect their cash flow and assets from all financial threats while assisting them in achieving their financial goals. Ed joined Strategies in 1988 and in addition to his work with clients, he plays an integral role in the firm’s overall success as a valuable member of the management team. As Chief Development Officer of the firm Ed is involved in recruiting and training new representatives on the Strategies team. His focus is to oversee the training, coaching, and development of our new associates who have been with our firm for three years or less, in order for them to achieve the highest level of success. Ed also oversees our Disability business and helps our associates in sales and development. He splits his time between the NYC and Rye Brook offices. Ed has achieved award-winning status within the organization for the past eighteen years in a row. In 2011, 2012 and 2013, he received the GAMA Diamond Frontline Leader Award. 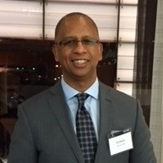 An exceptional presenter on financial topics, Ed is in high demand as a guest speaker at seminars including The GAMA International Conference, The LIMRA Recruiting and Retention Summit, the London Life National Conference and various engagements for The Guardian Life Insurance Company of America. In 2016, Ed also was inducted into Berkshire’s hall of fame. Born in New York City, Ed currently resides in Middletown, NY with his wife, Yvette, and their two children, Alex and Jessica. Ed enjoys spending free time with his family and friends as well as indulging his passion for music and love of basketball.